If you are facing some problems such as your TCL Roku tv keeps restarting or rebooting and freezing, Tcl Roku tv apps crashing (Youtube, Netflix and etc). You don’t know how to reboot Roku tv. 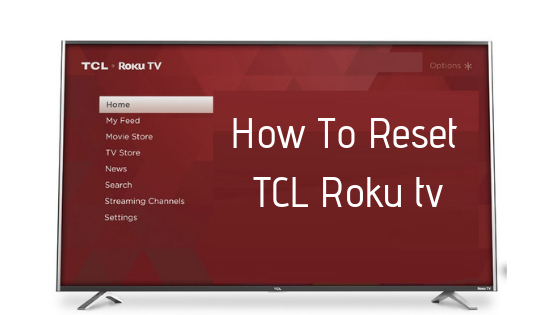 You read this tutorial carefully and follow the below steps for troubleshooting of your TCL Roku TV. Take your TCL Roku TV remote, Open your Roku tv main screen. After that, Select the Setting option by using the scroll up or down button. Select the System option by pressing the right arrow button. Select the Power option by pressing the right arrow keys. Select the System restart option. Press on the OK button for your confirmation to restart your Roku tv. Wait some minute until your Roku tv restart again. If you are facing the Tcl Roku tv keeps restarting or rebooting and freezing or Tcl Roku tv channel crasing problems again and again. It may be some hardware failure or other issues. Contact to TCL Roku tv customer supports.